Reading 1: Dt. 34. 1 – 12; Gospel: Mt. 18. 15 – 20. Someone, who was leading a quiet life in a remote village is scouted out to lead a mission – to rescue a group of hostages from a strong dictator and lead them to a place where they are safe. Story goes on… the hero in this action packed drama succeeds in rescuing the hostages and is leading them to their safety. However, some time during the mission, the hero makes a small mistake that costs him so much. He takes them to the safe-house, but the fatal blow causes him to fall and die right in front of the gates of the safe-house, not able enter it. The rescued hostages mourn his death and pledges to remember his heroic deeds. This is not a Hollywood flick. This is Moses – a hero, whose one mistake cost him his life. Often, I have wondered, why God had to be so rude to Moses. After all, it was just one mistake: he doubted if the rock would give water, so natural with a human person. But, Moses was a leader. A leader’s mistake can cause the whole community to fall… a scandal. A leader has to pay a huge price for his mistake, however small: Great powers, great responsibility. Sometimes, life is so unfair. 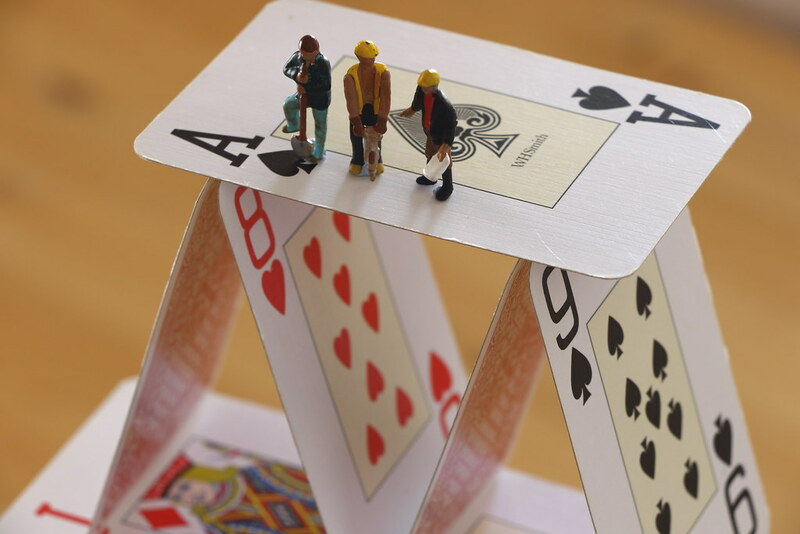 It is like living in a house of cards: one careless step can topple down the whole set. But, human as we are, mistakes are part of our system and so God is extremely patient with us and expects us also to be the same. And in today’s gospel, he gives us a practical way to deal with our brother who has gone wrong: correct him personally. If that doesn’t work out, then get someone else to help you. If that too doesn’t strike him, give him a public warning… after which he should be left on his own. However, that should not be the end of a relationship. He has also told us to forgive unconditionally. Let us not lose hope, but pray that God may intervene in his life. Saul’s transition to Paul, required God to strike him down from his horse. Nothing is impossible with God.